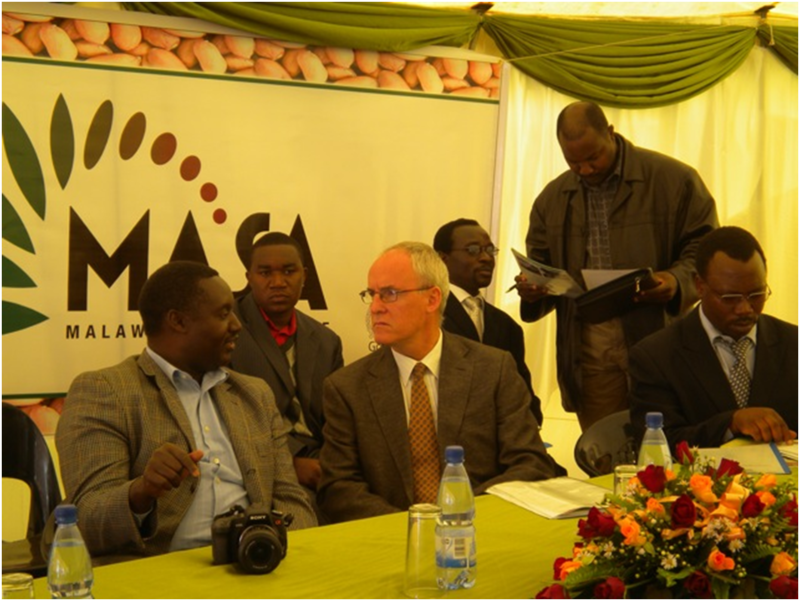 Six months ago, we left ICRISAT and its partners with an alliance, a brand, a logo and a general plan. Since then, the partners have – as we had hoped they would – taken ownership of the project, and have determined that the brand and associated trade mark should be held in trust for the benefit of the Malawian agricultural sector and, more specifically, small holder farmers and seedcos. The umbrella brand will be available to any seed company that meets ethical guidelines and is distributing certified seed. This is an exciting evolution, and may well be a “first”. Agro dealers and seed companies have been consulted as the project gained momentum, and the launch was focused on small holder farmers who will benefit from the increased availability of high quality, certified legume seed. Benefits include raising nutritional standards within Malawi (the basic diet of maize has led to high rates of malnutrition) and a ground nut crop that NASFAM is selling to European buyers as Fair Trade products at $1,100/ton. These bags show the MASA logo (top), the ICRISAT logo (bottom right) and the logo of the seed company that is distributing the seed (in this case, Peacock). Planting instructions are provided on the back of the bag, and participating dealers have received training so that they can help farmers get the most out of the seeds. Agro dealers who have participated in one of the sub-projects (small-scale, localized seed multiplication) are about to harvest their first crop of certified ground nut seed and are excited about the MASA seed bags that have been distributed. The launch event was well attended; in addition to many of the partners (see photo below) we had an audience consisting of the press (newspapers and TV) and about 75 farmers and agro dealers from the Mchingi district. The Irish Ambassador was extremely supportive of the project; he observed that there was little point in funding research without a market outreach component to ensure that innovations reach those who need them. The Principal Secretary of the Ministry of Agriculture, Dr. Andrew Daudi, addressed the gathering and a spirited dialog ensued in which many of the farmers aired their grievances. But two comedians, Chindime and Samalani, acted out a satiric skit involving farmers, agriculture and MASA which was highly entertaining, and the event wound up on a high note.